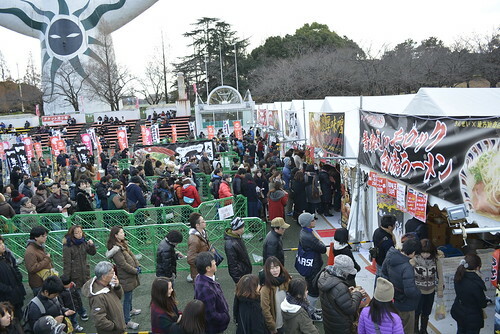 Ramen EXPO 2015 will be held in Banpaku Park, Osaka next month. Ramen EXPO is the largest ramen event held in the western part of Japan. Famous ramen shops from all parts of Japan will join this event while some of the popular ramen shops in Kansai will produce a limited collaboration menu just for this event. It is definitely a great chance for tourists to taste different ramen at one place! In addition to enjoying the ramen, the visitors will be able to see the light display in the park after 4pm. The 3D mapping on the iconic building of the park “The Tower of the Sun” by Taro Okamoto is worth checking. The event will be divided into 3 parts, each with 12 different ramen sellers. 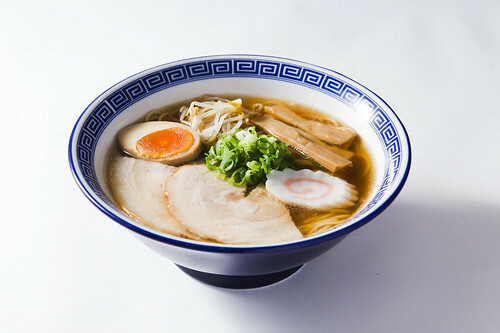 A bowl of ramen can be purchased with a ramen ticket sold for 800 yen at the venue. There is a separate admission fee to enter the park.